The Basingstoke Canal was built between October 1788 and September 1794 to facilitate the movement of commercial products around Hampshire. 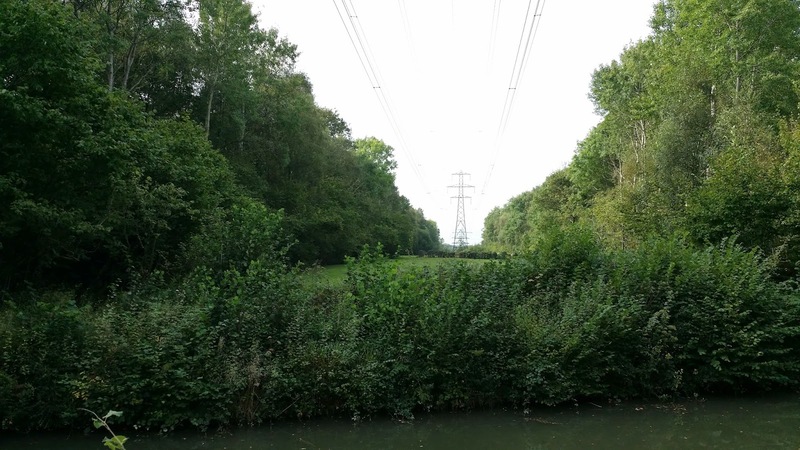 At its inception, the canal originally followed a 44 mile course from Basingstoke (roughly where the cinema in the Festival Place shopping precinct is located today) to the Wey and Godalming Navigations near Weybridge. Part of the canal's original course was a loop running around Greywell Hill (near the Basingstoke end of the canal). By 1794 this loop was replaced by a tunnel that cut through Greywell Hill which shaved 7 miles off the length of the canal. 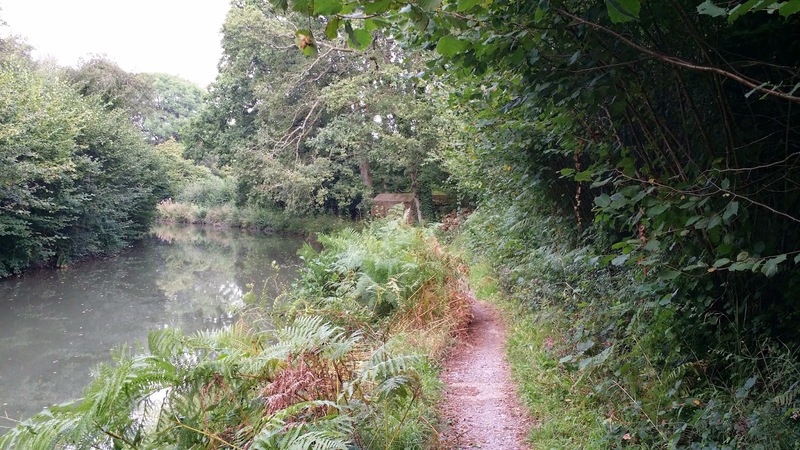 The Basingstoke Canal proved to be a failure commercially, so in 1910 it stopped being used for commercial purposes and it gradually fell into decline and was mostly derelict by the mid 1960's. 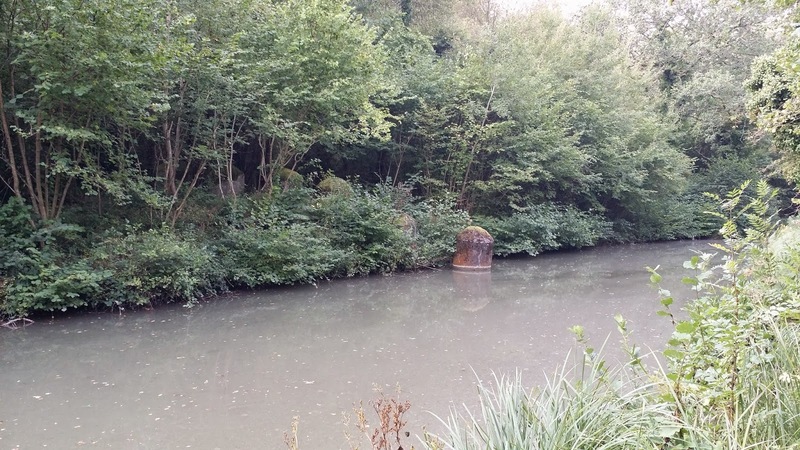 The 1970's saw some interest in restoring the canal and it was purchased by the County Councils of Hampshire and Surrey. After about 18 years of restoration, 32 miles of the canal were formally re-opened in May 1991 and these remain navigable today. 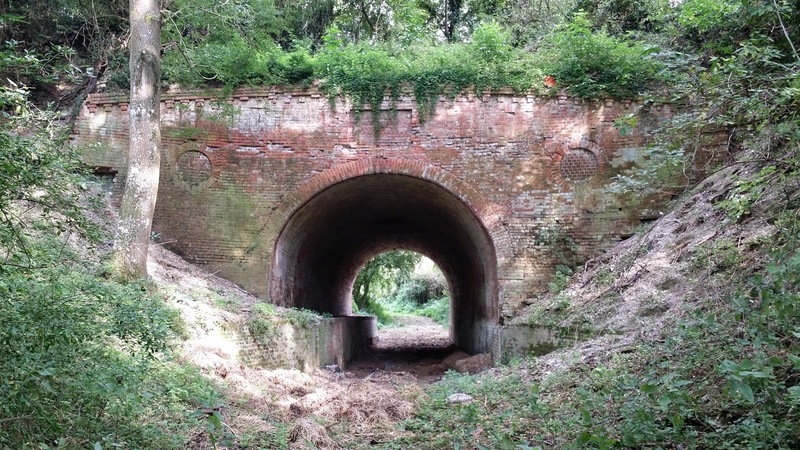 The western section of the canal from the entrance to the Greywell tunnel to Basingstoke is however derelict and impassable. 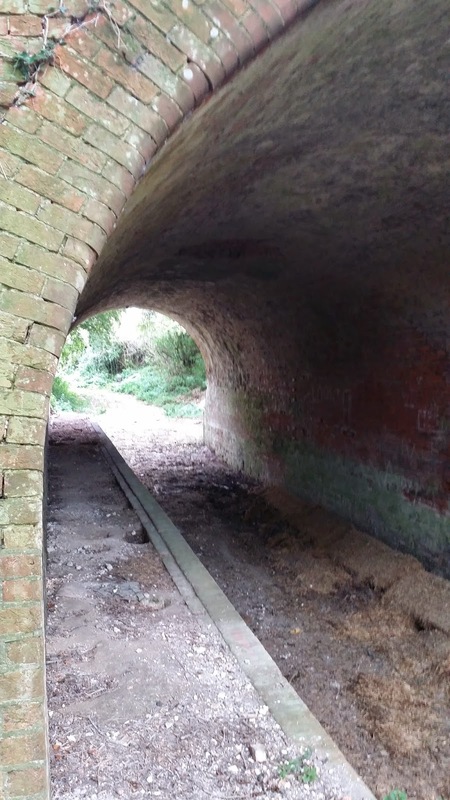 The Greywell tunnel began to collapse in 1932, and parts of the canal in Basingstoke, including the former canal basin, have been lost to modern development. 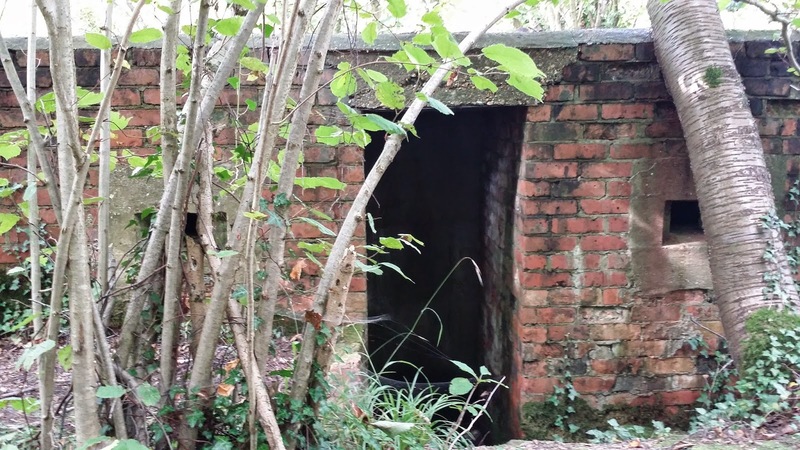 Due to fears of Nazi invasion during World War II it seems that numerous anti invasion defences were put in place along the canal as part of the defensive scheme known as the General Head Quarters (GHQ) Line. The GHQ Line spanned a number of counties and was aimed at slowing any German invasion down and to prevent German soldiers and tanks from making inroads from the south coast. Setting of from Crookham Village heading towards the outskirts of Basingstoke the first anti-tank defence that was evident was a series of “Dragon’s teeth”, that were on the opposite bank to the tow path. Dragon's teeth are pyramidal shaped concrete blocks that were deployed to impede the movement of tanks and other vehicles. 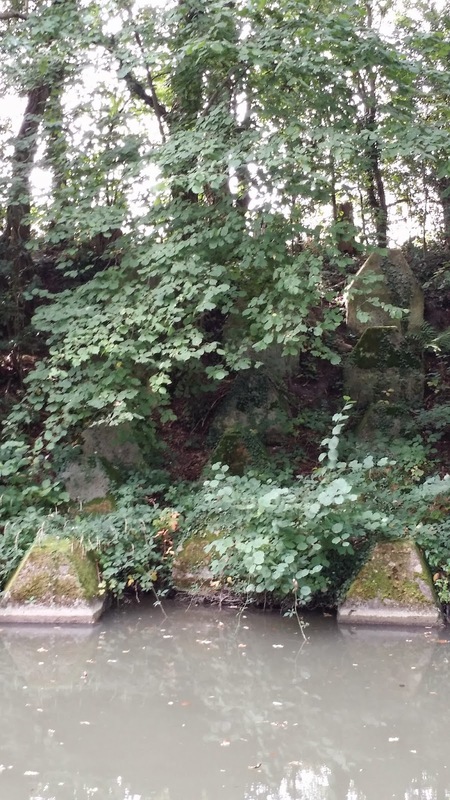 Dragon's teeth rising out of the canal and up the bank. 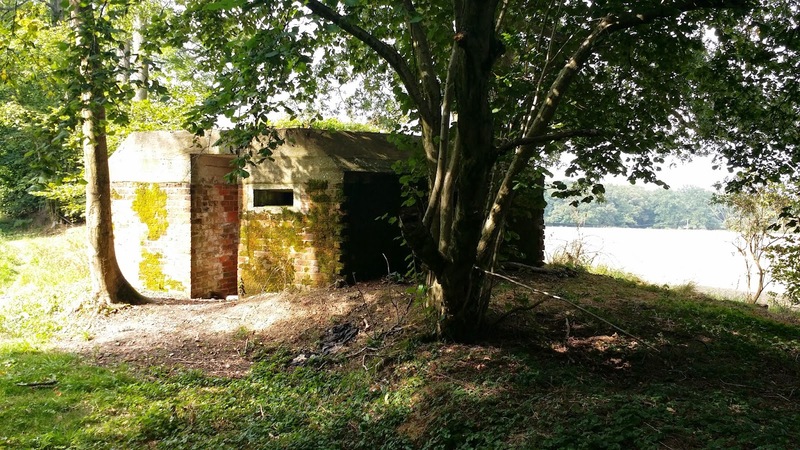 The next WWII defence that was visible was not on the canal side, but was on the opposite side of the canal from the tow path, set back in the middle of a field. A line of anti-tank cylinders crossing the field could be seen, as the below (rather low quality) picture shows. 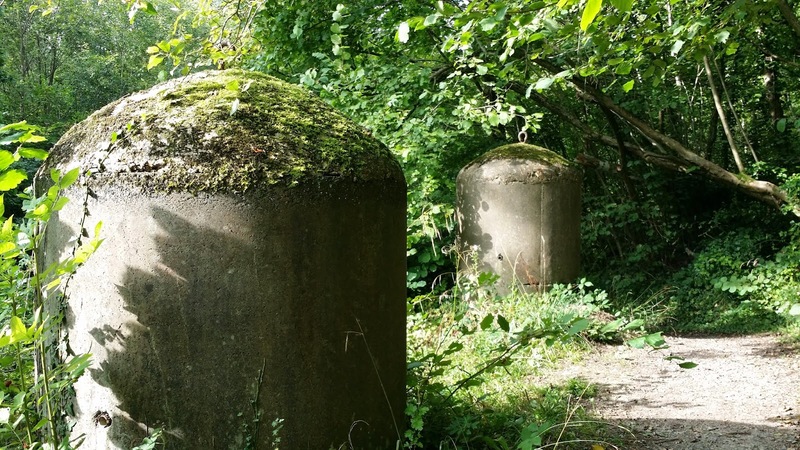 Like the Dragon's teeth, these reinforced concrete cylinders were primarily put in place to slow down the advance of vehicles. The line of cylinders shown below can be clearly seen in aerial maps at a lat/long of 51.254094, -0.876844. In a field opposite the canal, a line of anti-tank cylinders can be seen crossing the field (under the electricity pylon). Further along the canal (again on the opposite side to the tow path) even more anti-tank cylinders were easily visible. 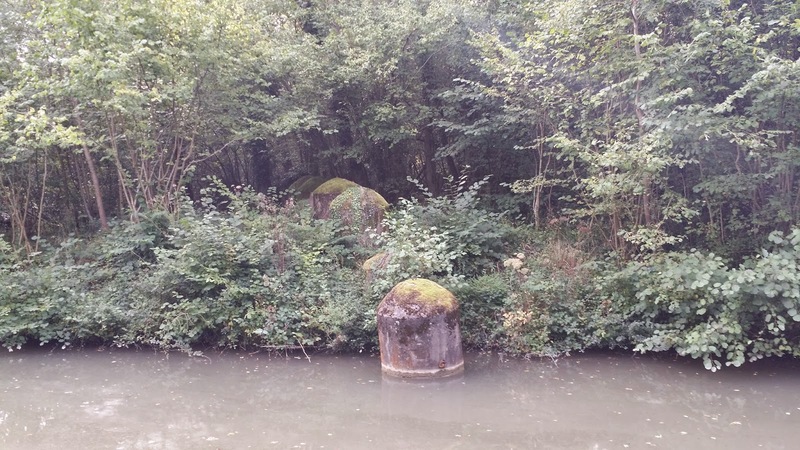 Similar to the Dragon's teeth, these cylinders start in the canal and disappear up the bank into the undergrowth. 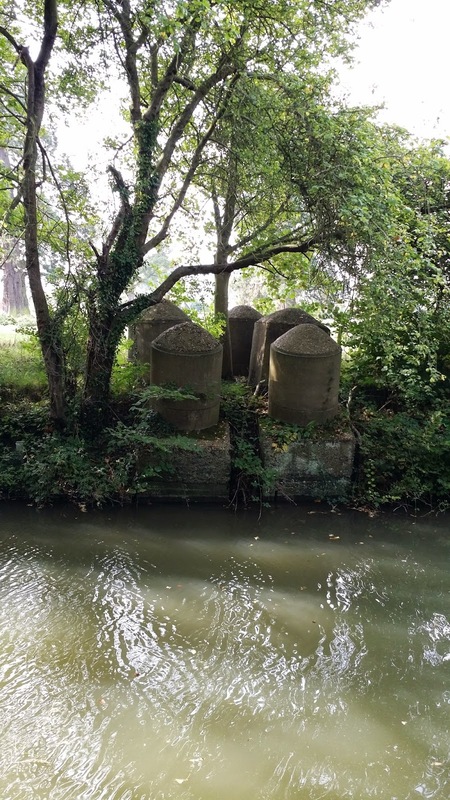 Anti-tank cylinders on the canal side. 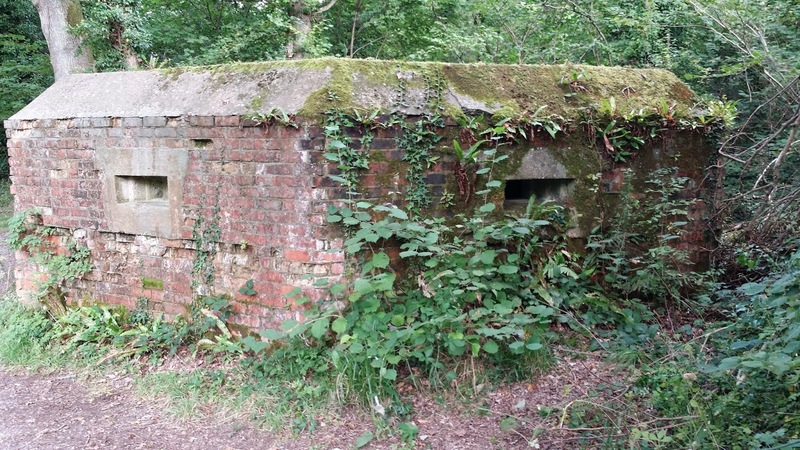 Next up was a pill box on the tow path which was partially hidden in the undergrowth. 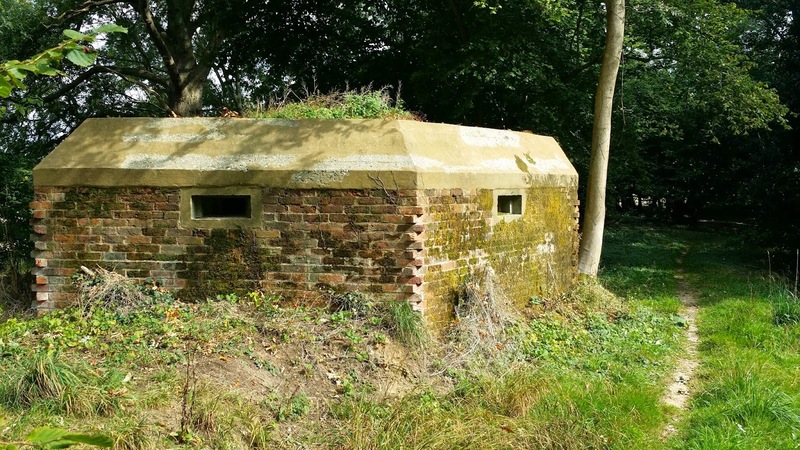 The front of the pill box was hexagonal in shape whilst the back was flat, making it (as far as I can tell) a Type 24 pill box. 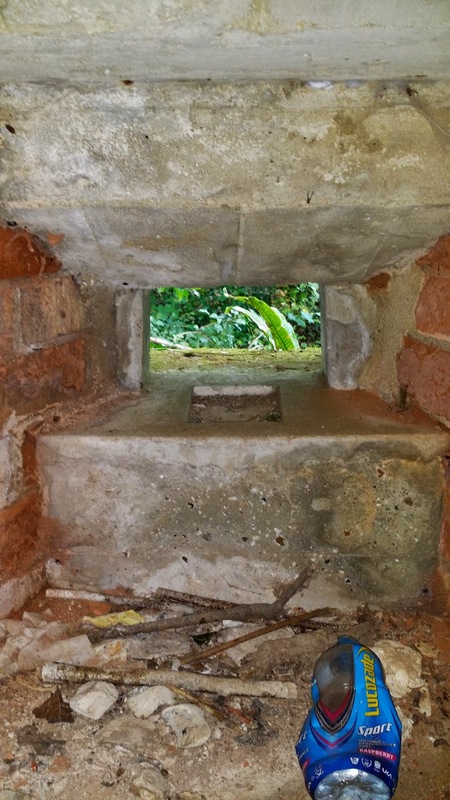 The inside of the pill box was accessible. 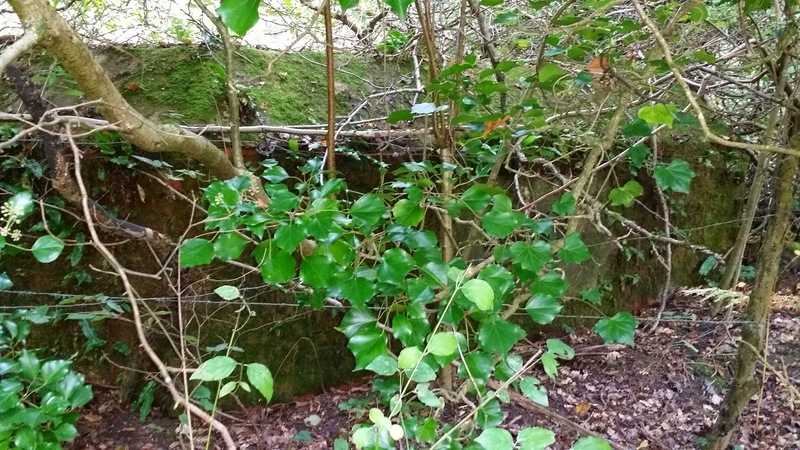 Pill box number 1 - lurking in the undergrowth. Looking towards the entrance to the pill box. Just inside the pill box the anti-ricochet wall can be seen. 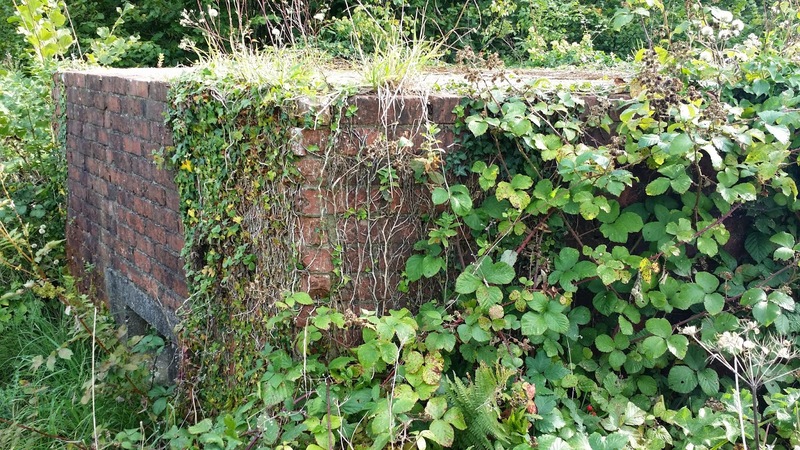 On the exterior wall, to the right hand side of the entrance, a metal hook can be seen protruding from the brick work. Hooks like this would have originally be used to hang camouflage netting from to help conceal the pill box. Walking further along the tow path another batch of anti-tank cylinders were clearly evident. If you inspect the cylinders closely you can see that they have metal loops on the top and what seem to be metal pipes protruding from near their bases. These loops and pipes would have been used to pass metal wire through, connecting a number of cylinders to each other and making them more of an obstacle. The loop and pipe on the nearest cylinder can be seen. 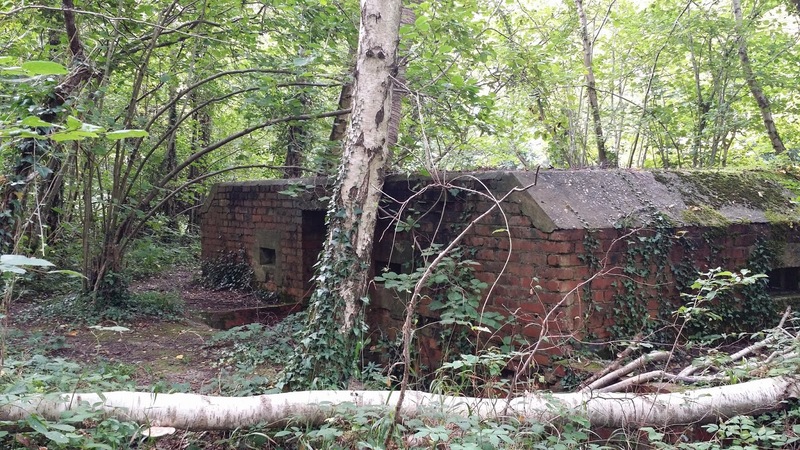 What appeared to be another Type 24 pill box was next on the tow path. 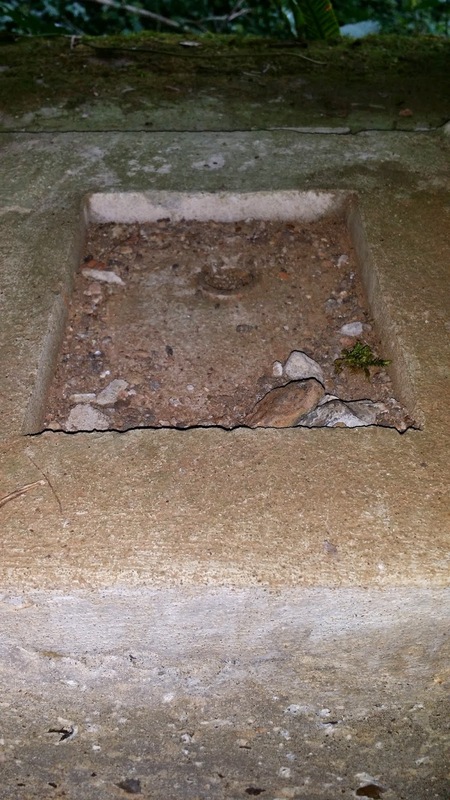 This pill box was also accessible. Pill box number 2 - guarding the canal. The rear of the pill box. 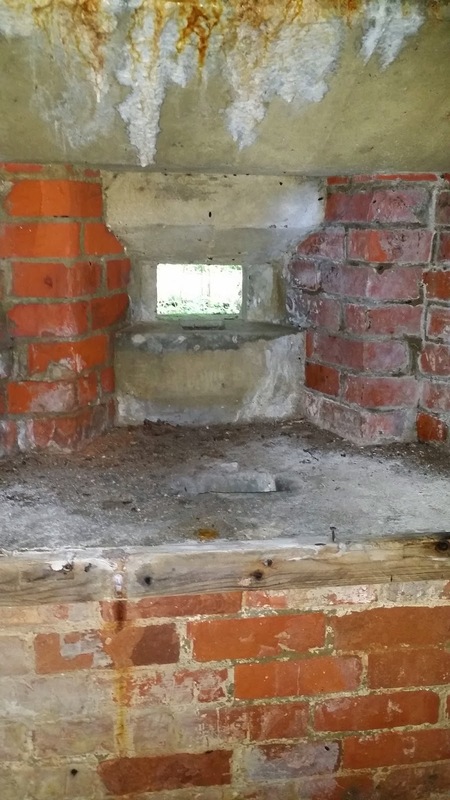 One of the firing positions inside the pill box. 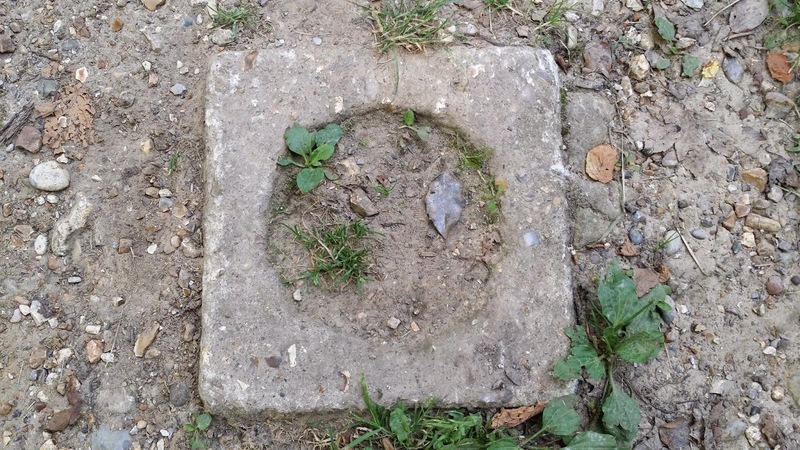 At this point in the walk it became clear that the tow path was littered with submerged concrete blocks that sported round holes in them. 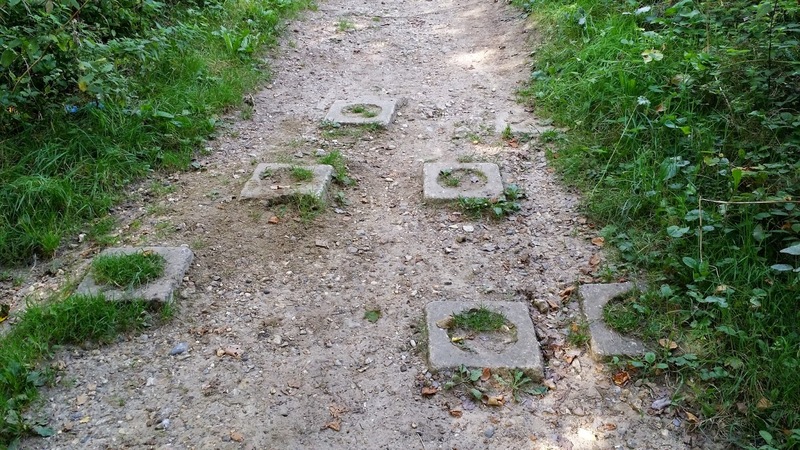 I believe that these were also a form of anti vehicle obstacle, and the holes look similar to sockets for anti vehicle road blocks. 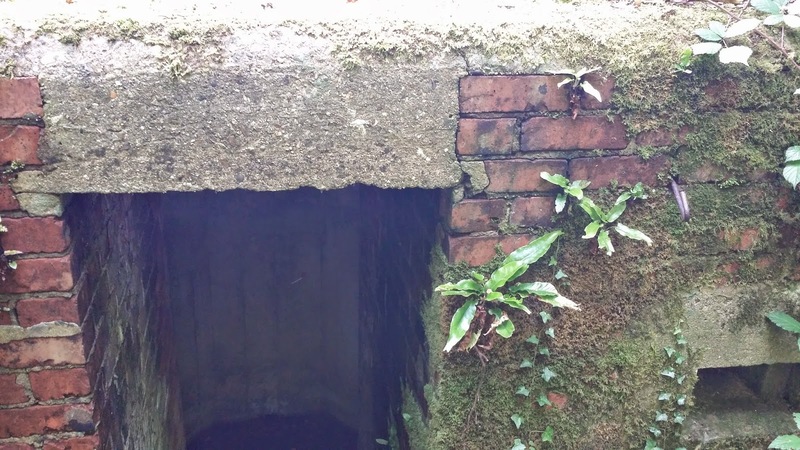 These sockets may have once housed bent RSJs to prevent progress of invaders along the tow path. Or conversely they may have once housed anti-personnel or anti-vehicle mines. Scattered all along the tow path. Sockets for anti-vehicle road blocks or mines? Carrying on, yet another pill box appeared on the tow path. Unlike the previous two pill boxes this one was square in shape, but again had the internal anti-ricochet walls. The pill box was again easily accessible. Pill box number 3 - in the distance. This pill box was square this time, not hexagonal. Looking out of one of the firing positions. A mounting point for a machine gun? Blacksmith's Bridge near Dogmersfield was the next point of interest. Just to the south of the bridge more anti-tank cylinders could be seen running up from the canal and over the bank. These cylinders can be seen on aerial maps at lat/long of 51.264191, -0.889303. The bridge itself also housed some anti-invasion defences. Clearly visible on the bridge were some concrete sockets that would have once housed mines. The bridge is located at 51.264363, -0.889122. On Blacksmith's Bridge, concrete sockets that would have once housed mines. 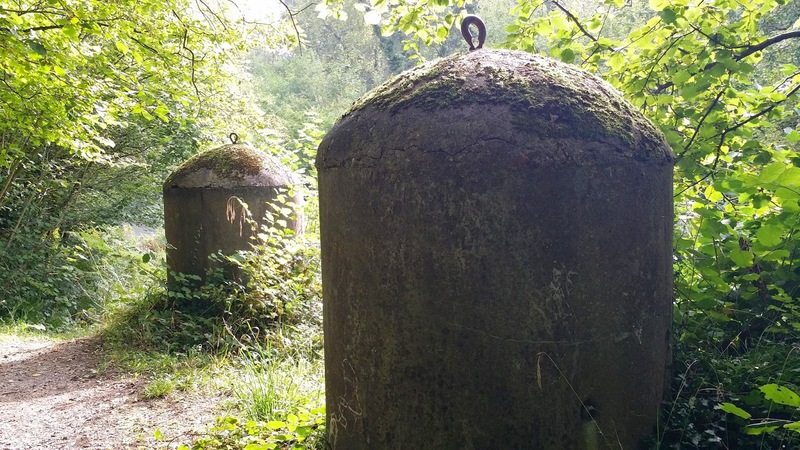 Walking further towards Basingstoke a fourth pill box was found lurking near the tow path. 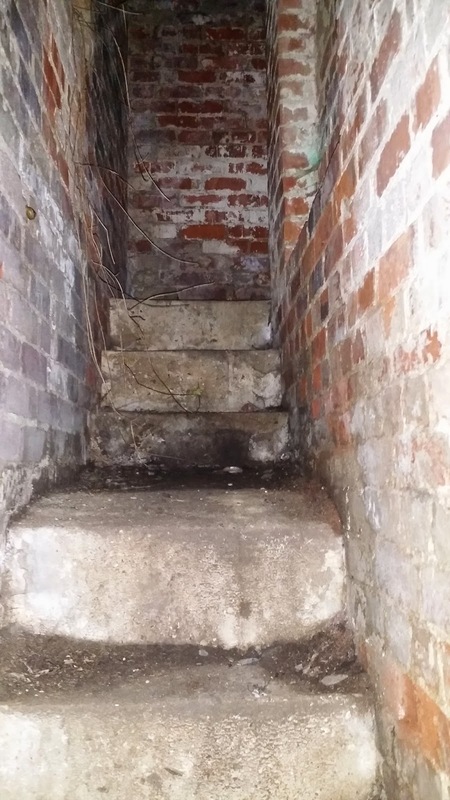 This pill box was different to the previous three, in so much that to enter it you had to go up a flight of stairs. The pill box did seem to only have one floor inside, as opposed to being a two-level residence. 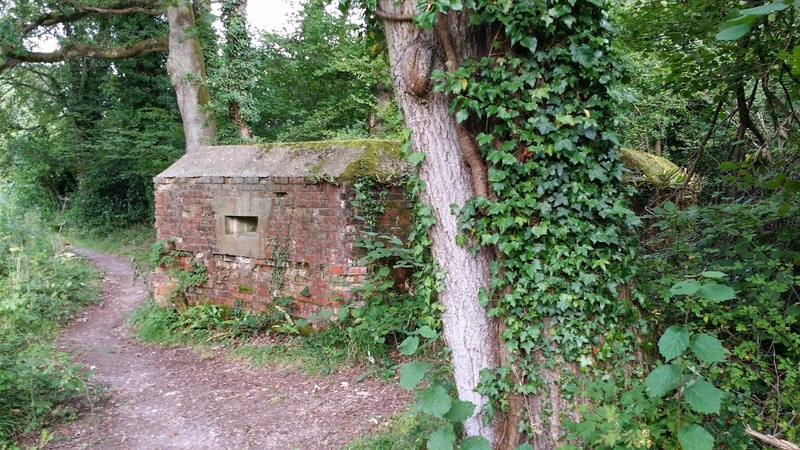 The fifth and final pill box that I found was located on a bank over looking the tow path. 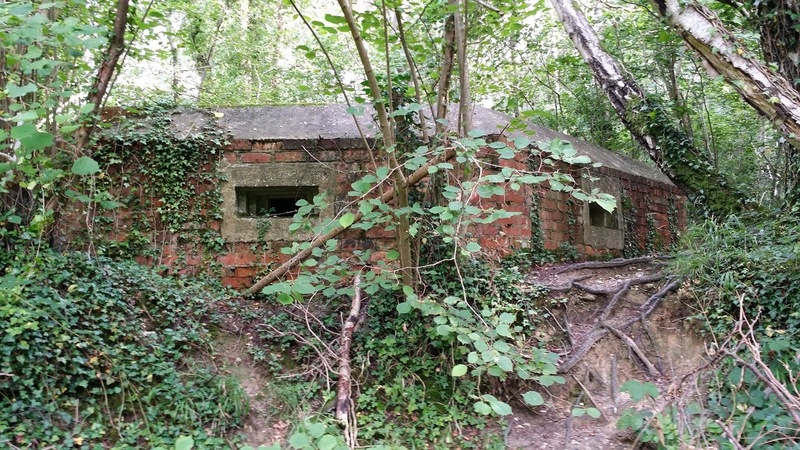 This pill box was another hexagonal shaped structure, and so possibly another Type 24 pill box. 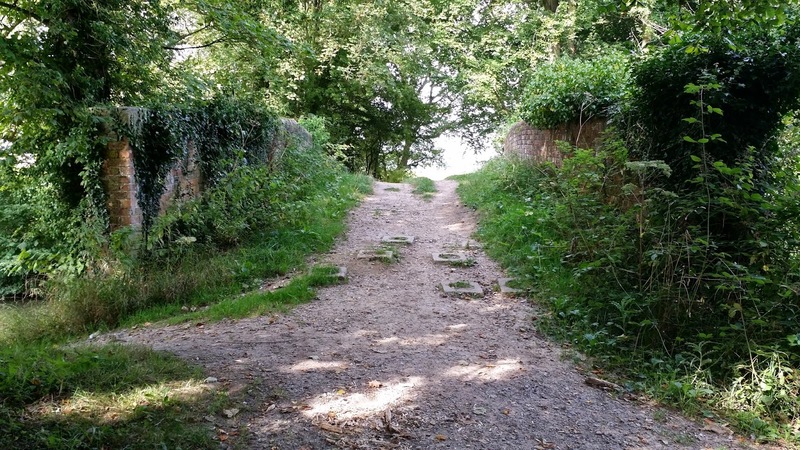 Taking a break from WWII, near North Warnborough the tow path passes the ruins of Odiham Castle (51.261396, -0.961561). 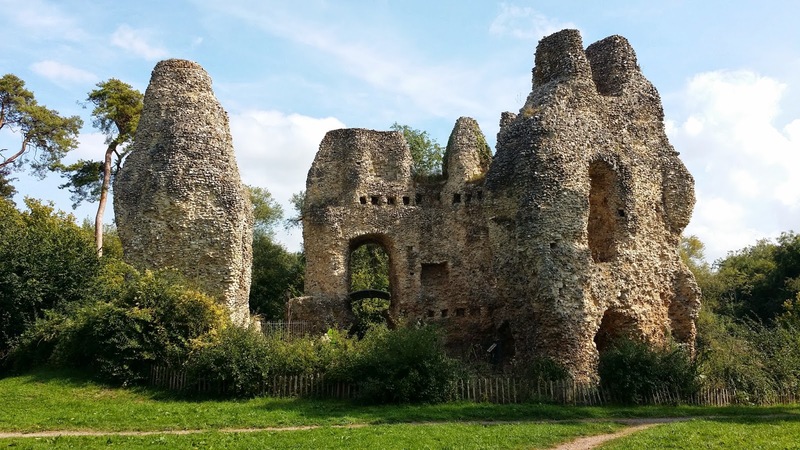 Odiham Castle was built by King John over the course of seven years between 1207 and 1214 and remained in used as a hunting lodge until the late 1500's. 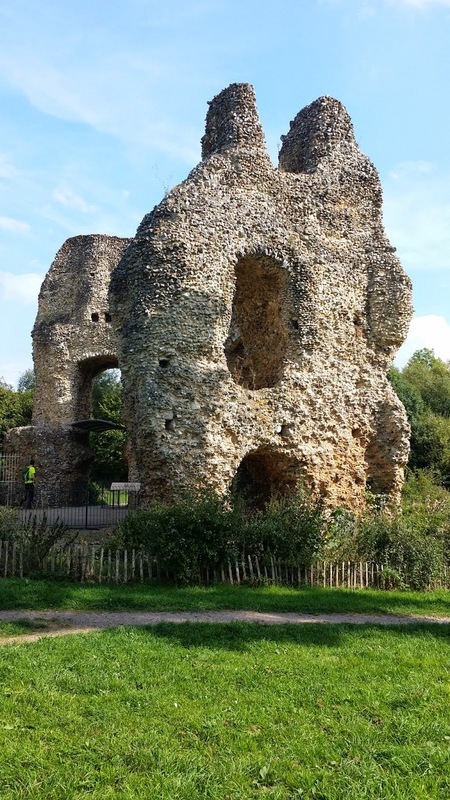 Odiham Castle - the remains of the keep. After Odiham Castle the canal and the tow path continue as far as the entrance to the Greywell tunnel (51.257685, -0.971399). As mentioned previously, the tunnel began to collapse in 1932 and now it is gated off to prevent entrance. 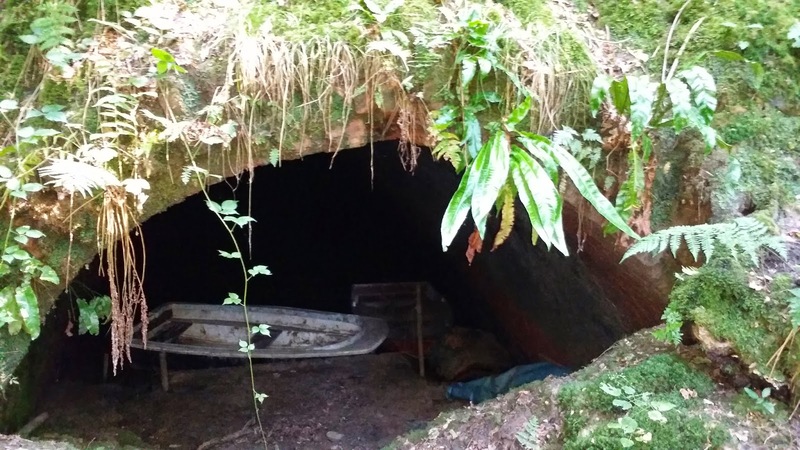 Whilst humans cannot access the tunnel, other animals can, and the tunnel is said to be home to the biggest colony of roosting bats in Britain. In 2006 it was estimated that the tunnel was home to 12,500 bats, which included the largest known colony of Natterer's Bats. Other bats that are said to reside in the tunnel include Daubenton's Bats, Whiskered Bats, Brandt's Bats and Brown Long-eared Bats. The Greywell tunnel is 1,120 meters long, and when it was in operation it had no tow path inside it. The lack of a tow path meant that any boats passing through it had to be "legged". Legging involved the barge crews propelling the barge through the tunnel by wedging themselves between the barge and the tunnel and walking their legs along the tunnel wall while pushing their backs against the barge. Legging a barge through the tunnel is said to have taken up to six hours to achieve! 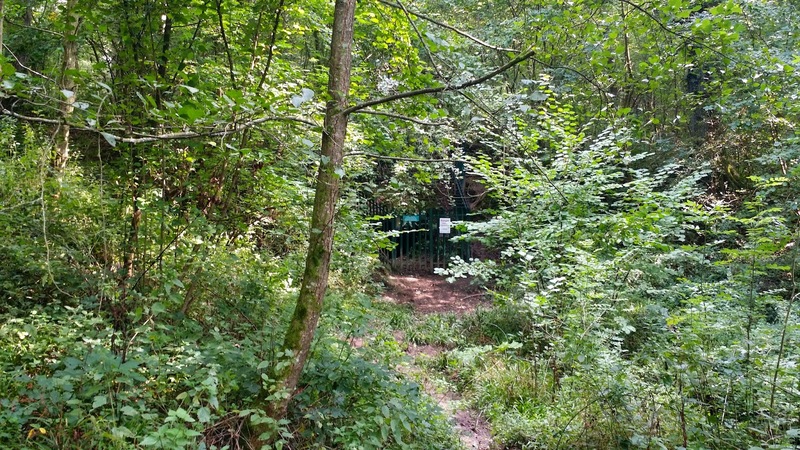 Whilst the tunnel is now impassable the course of the tunnel can be followed on the map and the old course of the canal can be picked up again at the western edge of the Greywell tunnel (51.260827, -0.986784). 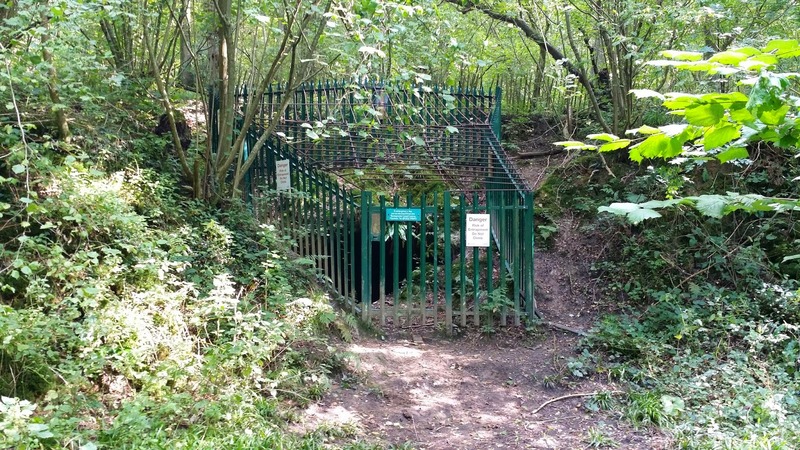 The western tunnel entrance is also gated off and the canal on the western side of the Greywell tunnel is dry in places and is no longer maintained. The western entrance to the Greywell tunnel. Looking inside the Greywell tunnel - there is still some water in there. 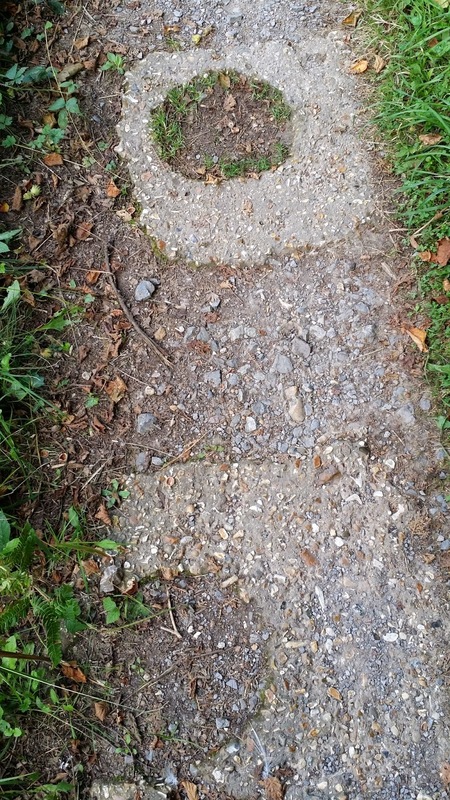 The course of the canal can be followed further beyond Up Natley in the direction of Basingstoke and with the odd touch of very minor trespassing further evidence of the canal's previous course can be found. 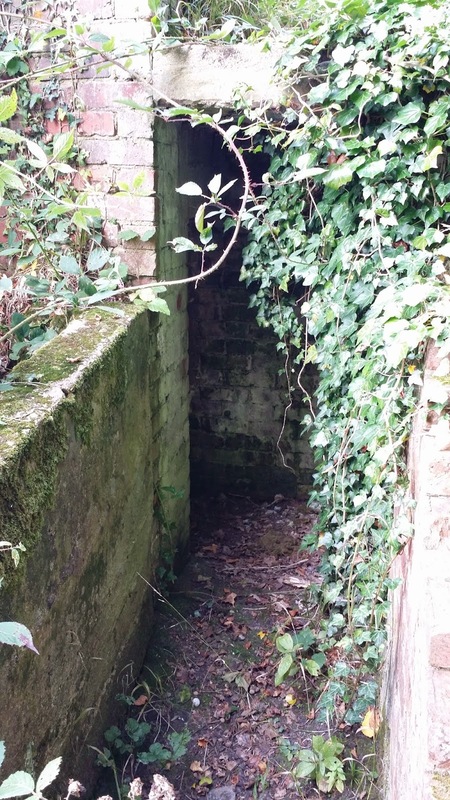 For example, following the Andwell Drove Track, which heads south from Greywell Road, a disused canal tunnel can be found (51.262371, -1.010430). The Andwell Drove Track runs over the top of the tunnel, so you have to leave the track to explore it. Beyond this tunnel progress in the direction of Basingstoke along the canal became problematic, due to very dense undergrowth. So it was decided to call it a day, with the thought of retuning in the winter when the undergrowth is less dense. A disused tunnel with the Andwell Drove Track passing over the top of it. The tow path through the tunnel. 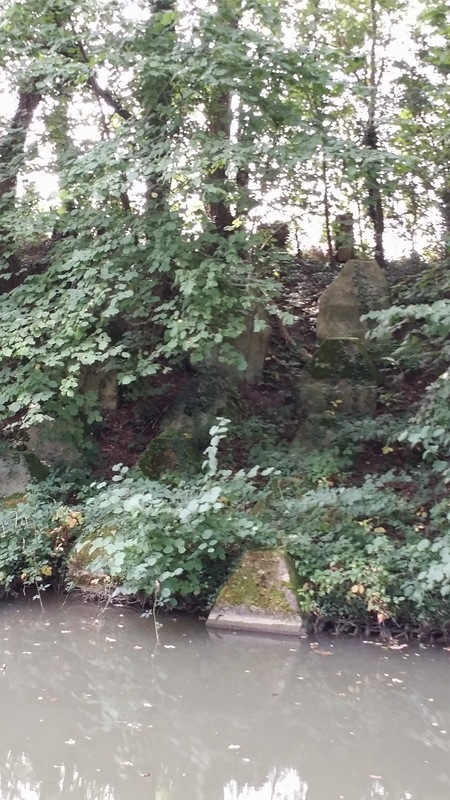 During my walk I discovered a significant amount of WWII anti-invasion defences, however I did not deviate far from the canal side. 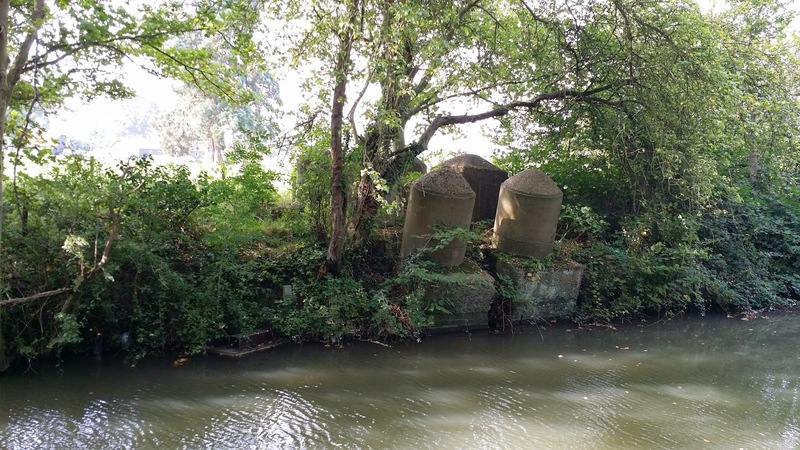 I imagine that I missed a lot of other anti-invasion defences that remain to be found set back from the sides of the canal or hidden in the undergrowth. 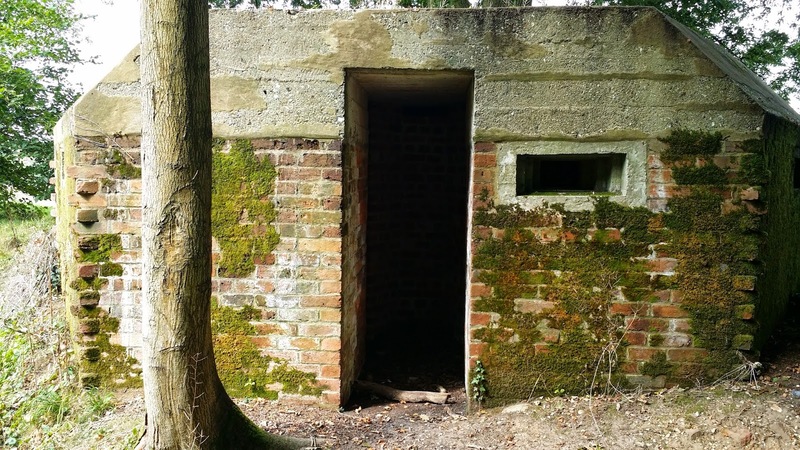 There are also likely to be more anti-invasion defences to be found heading east from Crookham Village towards the Weybridge, so there is bound to be plenty more for the curious walker to find. So go and have a look!